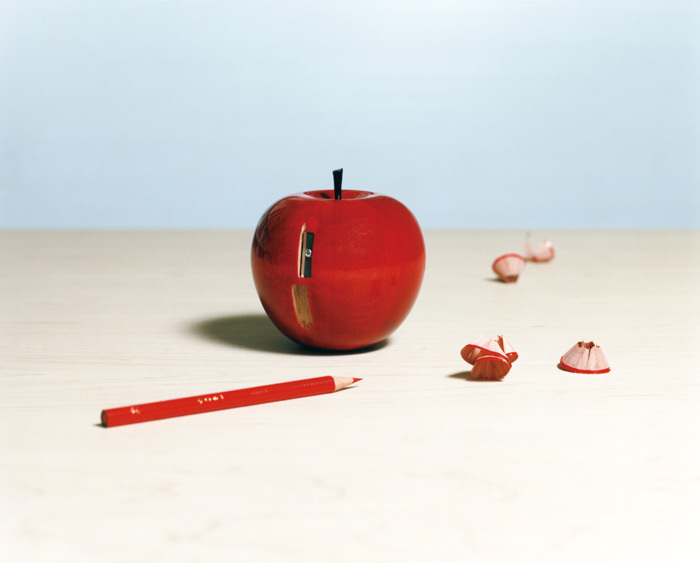 This apple-shaped wooden product is a pencil sharpener. 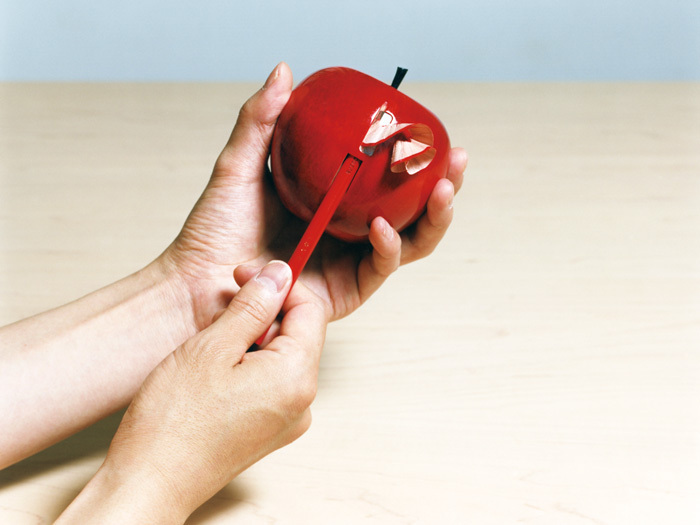 You can sharpen pencils in spirals and it almost feels like peeling an apple. The above information is as of November, 2012, and is subject to change.